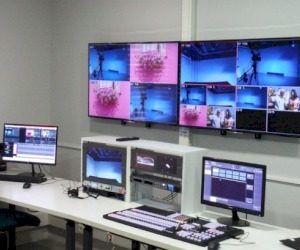 University of Athens decided to invest in a small HD production studio, in order to cover training needs for its Media & Public relations dept. Among basic requirements was flexibility, expandability, reliability, proximity to broadcast standards production cahin and all these in compact size due to architectural restrictions. 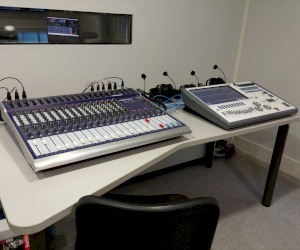 The solution was based in SONY vision mixer, engs cameras for both studio and outdoor use, SONY asset management to control production editing and archive, EDITSHAR ingest and playout servers, AEQ intercom and BMD interfacing and monitoring.